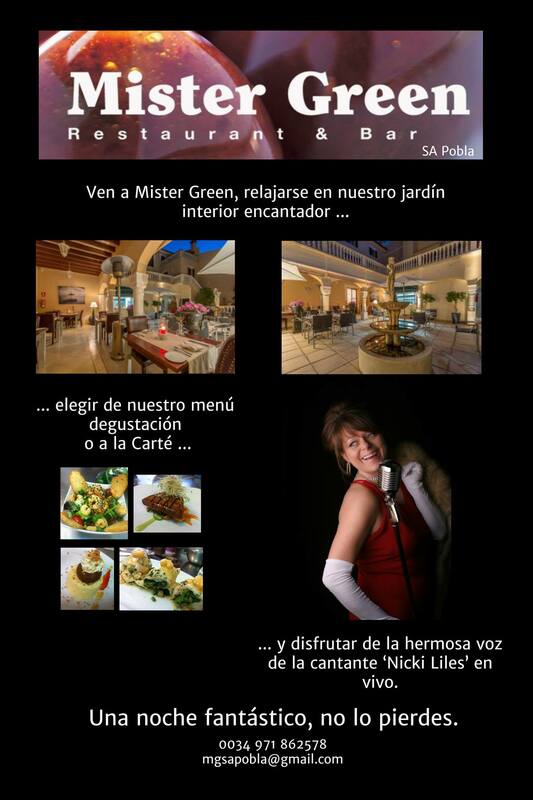 Ven a ´Mister Green´, este sábado, relajarse en nuestro jardín interior encantador, elegir de nuestro menú degustación o a la Carté, y disfrutar de la hermosa voz de la cantante ‘Nicki Liles’ en vivo. Una noche fantástico, no lo pierdes. Come and join us this Saturday. Sit back and relax in our enchanting interior garden, choose from our ever popular tasting menú or A la Carte, and let your self be swept away by the enchanting voice of ´Niki Liles´, who will be singing live. A truely fantastic evening not to be missed. 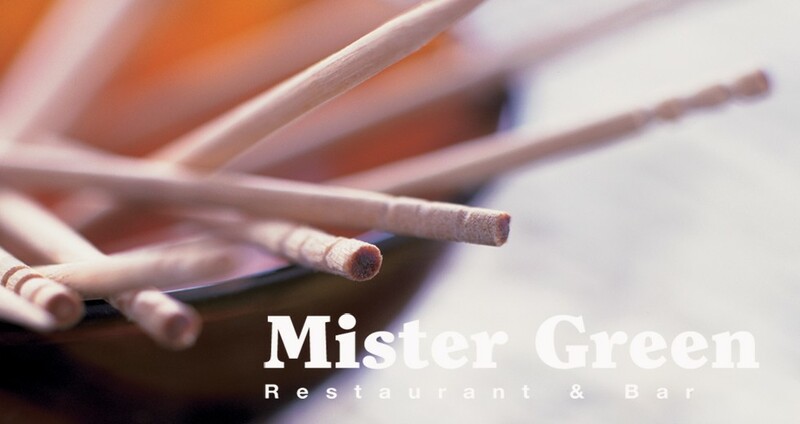 Come down to Mister Green this Saturday and enjoy a fun evening. We have a fantastic “1950´s” Live Music show, presented by our resident Singer Nicki Liles and joined by Dennis. Reserve a table to dine with us, or simply come down and enjoy a few drinks in our fabulous courtyard. A night recommended not to miss. Este Sábado ven a pasar una noche de diversión. A partir de 22:00, tenemos una espectáculo de música “1950´s”. Reserva tu mesa, o disfruta de tu copa. Brownie de Baileys, cerezas flambeada con Kirsch y Helado de vainilla. Desde este Domingo, 07.06.2015, Mister Green estará abierto para almuerzo y cena. Ven y disfruta de nuestra comida y ambiente fantástico. We are proud to announce that ´Mister Green´has been awarded a “Certificate of Excellence 2015”, by Tripadvisor. We would like to take this opportunity to thank all of our team for all their hard work, and all of our customers for their support and lovely reviews over the last year, which have resulted in our success.